The stabbings at Franklin Regional Senior High in Murrysville, PA, as I am sure it did many people, got me thinking. As a human being (as in all cases of school violence) this tragedy had me wondering why this happens, the father in me fearing what lay in store for my boys when the time comes for them to go to school, and, of course, the lawyer in me wondering what the legal ramifications would be from the fallout of such a tragedy. From my point of view, never having had to endure such a traumatic event, I can only assume that the people involved are left asking questions like “Could the school have somehow prevented this?” or “Did parenting or lack thereof play some sort of role leading to this?” the gut reaction, of course, being whether or not the parents or the school on some level should be held accountable for the action of the student who carried out this horrific plan. This post, of course, does not assume that either a parent or school should be held accountable or did something to be held accountable in Murrysville. I make no determination regarding the fault of the parents of the attacker or the school district in this particular case and only attempt to answer the following questions in terms of possible legal action: (1) What if there was a situation where a parent or school employee knew of a potential threat to the safety of the students at a particular school and failed to act? And (2) What if a student was injured by a third party as a result of negligent supervision by a parent or teacher? (2) The injury was caused by the negligent acts of the local agency or an employee thereof acting within the scope of his office or duties with respect to one of the categories listed in subsection (b). As used in this paragraph, “negligent acts” shall not include acts or conduct which constitutes a crime, actual fraud, actual malice or willful misconduct. (3) Real property.–The care, custody or control of real property in the possession of the local agency, except that the local agency shall not be liable for damages on account of any injury sustained by a person intentionally trespassing on real property in the possession of the local agency. This has been called the “real estate” exception. Unfortunately, the “real estate” exception has historically been narrowly construed. In Vann v. Board of Education, School District of Philadelphia, 76 Pa.Commonwealth Ct. 604, 464 A.2d 684 (1982), the court held that this exception to immunity imposes liability only for negligence which makes government-owned property unsafe for the activities for which it is regularly used, for which it is intended to be used, or for which it may be reasonably foreseen to be used. Vann, 76 Pa.Commonwealth Ct. at 60708, 464 A.2d at 686. 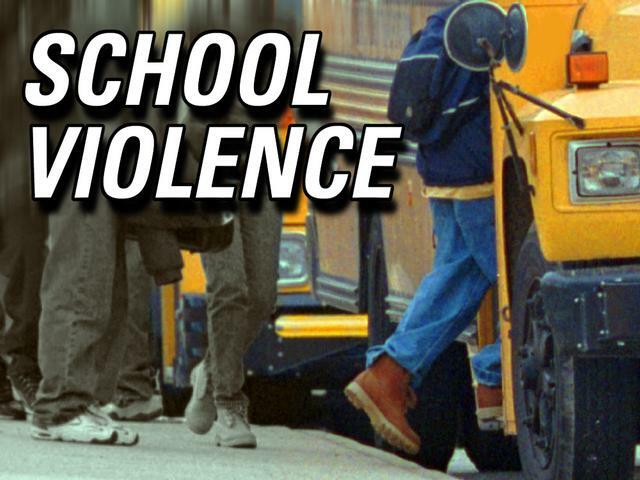 In Vann the court found that a school district should not be held liable for the beating of a student in an unlighted area of the school ground because this violent act was not a reasonably foreseeable use of school property. In Mascaro v. Youth Study Center, 514 Pa. 351, 523 A.2d 1118 (1987) the Supreme Court weighed in on the issue. In Mascaro, the supreme court held that the real estate exception can be applied only to those cases where it is alleged that the artificial condition or defect of land itself causes the injury, not merely when it facilitates the injury by the acts of others, whose acts are outside the statute’s scope of liability. Id. at 363, 523 A.2d at 1124 (emphasis in original). The Supreme Court in Mascaro reasoned that it was outside the statute’s scope of liability because the acts of others are expressly excluded in Â§8541 and are not discussed in any of the eight exceptions set forth in Â§8542. In short, there would be no recourse against a school, school district or school employee in the Commonwealth of Pennsylvania in a situation similar to that of Murrysville. In Pennsylvania, The Parental Liability Act, 23 Pa.C.S. Â§Â§ 5501, et seq. sets forth a means for holding parents liable for the tortious acts of their children. The liability of the parents under the Act requires a finding that the child (one under 18 years of age) committed a willful tortious act resulting in injury. Specifically, Any parent whose child is found liable or is adjudged guilty by a court of competent jurisdiction of a tortious act shall be liable to the person who suffers the injury to the extent set forth in this chapter. 23 Pa.C.S. Â§ 5502. The only problem is the monetary limits of liability which caps parental liability at (1) $1,000 for injuries suffered by one person as a result of one tortious act or continuous series of tortious acts, or (2) $2,500 regardless of the number of persons who suffer injury as a result of one tortious act or continuous series of tortious acts. 23 Pa.C.S. Â§ 5505. What does this mean? In the case of the Murrysville stabbings, the parents of the attacker would be held liable to the victims for a total of $2,500 or, to put it another away, approximately $119 for each of the 21 people injured in the attack. It is important to note that liability under the Act attaches with a finding of guilty and does not consider whether or not the parents knew or should have know of a propensity for violence. The liability of the parents would not necessarily be limited to the Parental Liability Act. The liability imposed upon parents by the Act does not limit the common-law liability of parents for damages caused by a child. 23 Pa.C.S. Â§ 5509. With regard to common-law liability, the general rule is that the mere relation of a parent and child imposes no liability upon parents. Frey v. Smith, 454 Pa. Super. 242, 685 A.2d 169 (1996). Exceptions to the general rule exist in that parents may be liable where the act of a child is done as the agent of the parents or is the result of independent negligence of the parent. Condel v. Savo, 350 Pa. 350, 39 A.2d 51 (1944). Independent negligence may be found where the parents have notice of a dangerous habit of a child and fail to protect others from the danger. Id. Essentially, a parent’s duty arises when a parent at the relevant time knows or should know of the need to exercise parental control and has the ability and opportunity to do so. K.H. v. J.R., 573 Pa. 481, 498, 826 A.2d 863, 874 (2003). If the injury ought to have been foreseen by the parents, their negligence is the proximate cause of the injury. J.H. ex rel. Hoffman v. Pellak, 764 A.2d 64, 66 (Pa. Super. 2000). Parents, therefore, may be liable for the torts of their child where negligence on the part of the parents makes the injury possible. Id. For example, if there is a propensity for violence and the parents fail to take action, the parents can be liable. Or if the child has some sort of psychotic disorder for which medication was prescribed and the parents fail to monitor the taking of the medication or fail to make the medication available the parents can be held liable. It seems like common sense but the law is clearly lacking. 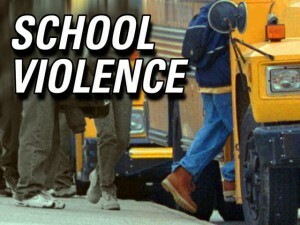 I am not advocating that parents should be held liable for negligent supervision in all situations of school violence. I am merely pointing out that the law does not set the bar very high for parents. There is certainly a better chance of success against parents then there would be against the school. However, it is still a difficult task attempting to hold the parents responsible for the violent acts of their children. I may have fairly responded to the questions I posed at the beginning of this post, but in situations like this there are so many more questions left unanswered. I have so much hope for the future of my boys. Hope that is, unfortunately, tempered by situations like this. This entry was posted in Business Law by lawBlog_Adm1n. Bookmark the permalink.